The Smart Digital Signage cloud solutions from Netipbox Technologies provide operators with a wide range of own and third-party functionalities. In late 2018, Areas, the leading brand in world travel catering, was awarded the concession to operate 15 restaurants at Minneapolis-Saint Paul international airport. 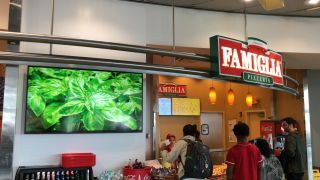 Areas is also present through its franchises at other North American airports, including Chicago, Los Angeles, Atlanta, Miami, Newark, Washington, Indianapolis, Orlando and Detroit, where it has also initiated implementation of Smart Digital Signage solutions from Netipbox Technologies. Some time ago, Areas established an action plan — rolled out initially in Spain and Portugal — that aims to provide dynamic interactive client information systems at its restaurant spaces in airports, highways and railway stations as a central element of its traveller communication policy and to reinforce its branding. Areas has relied on Smart Digital Signage solutions from Netipbox Technologies for this purpose. Areas has already been using Netipbox Technologies solutions in restaurants and retail outlets in Europe, solutions it is now moving to the North American territory, with Minneapolis - Saint Paul airport being one of its most recent exponents. Areas began its digital strategy in 2008, implementing the Netipbox solution because of its adaptability to any type of Menu Board or screen, an essential aspect in light of the diversity of Areas' catering spaces. In addition, Netipbox is easily integrated into Areas' PST platform, enabling management of the second PST screens in Areas' restaurants. Of particular value in this case was the ease of use offered by Netipbox to the people managing the system in Areas and its connectivity with additional functionalities such as audience analytics, an aspect that will bring great value to Areas in the coming years. The engineering and supply of hardware and software equipment was carried out by Netipbox Technologies, while the creation of contents was carried out by Impactiva Global DS Agency, a division of Netipbox Technologies. The integration and installation of the system was carried out by North American integrator Safco Systems, Inc., using Menu Board screens from various manufacturers. The Smart Digital Signage cloud solutions from Netipbox Technologies provide operators with a wide range of own and third-party functionalities that enable important additional values such as: Scan, which provides valuable information to the consumer, giving screens greater value; Audience: identification of audience typology and metrics using camera systems (in collaboration with French company Quividi); and Synchro WOW: the creation of mega banner effects synchronized over different screens. The core hardware of Smart Digital Signage solutions from Netipbox Technologies is the Nbox Android-based Plug & Play player that transforms any digital support (screen, totem, kiosk, etc.) in a window that interacts with the consumer while at once capturing audience data for business holders, among other kinds of possible interactions. Netipbox Technologies has developed a native APK that allows the screen to be controlled 100 percent in a robust, totally scalable solution easy to use for all kinds of customers. Netipbox Technologies which will be showcasing the full potential of its integral solutions for the whole American market at Booth 1141 at the Vegas Convention Center.